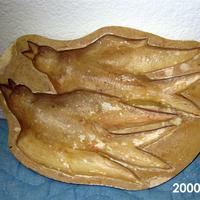 Two Birds mold is a 2 piece mold held together with wire. 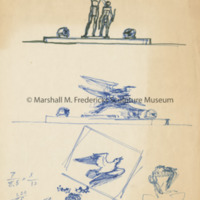 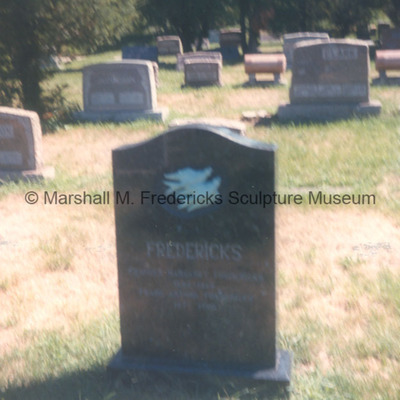 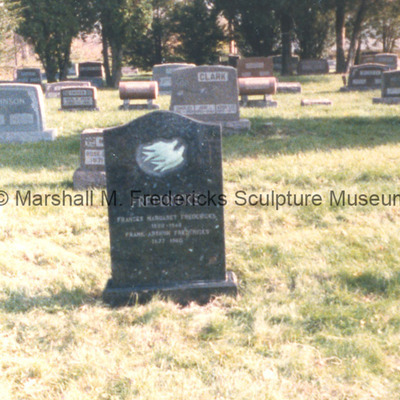 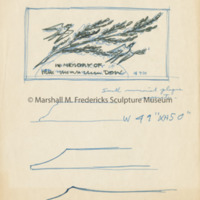 Written on the mold is "Two Birds Marshall Birds" These may be the same birds used on Mr. Fredericks' parents grave marker. 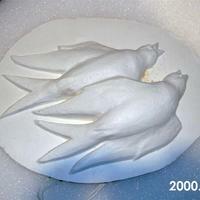 Plaster mold for Two Birds. 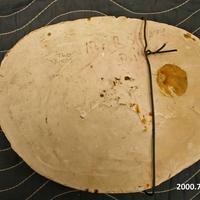 Yellowish stain is from shellac used to seal the plaster. 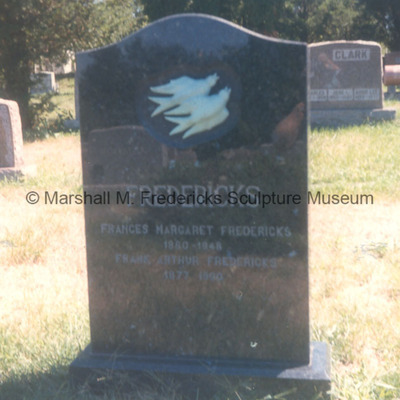 Two birds in flight plaster relief.